What do elephants and fish have in common? This species, known as the bobbit worm (Eunice aphroditois), is a carnivorous worm that usually makes it home by digging a vertical burrow in the sand between rocks or corals in a tropical reef. The burrow is barely wider than the creature's body, but must be as deep as the worm is long. The bobbit worm finds prey with five long antennae on the top of its "head". These antennae wave in the current, picking up scents of possible prey in the water as they flow by and letting the worm know a meal might be near. Not only does it strike at its prey with sharpened jaws, it injects a toxin, which stuns or kills it. The worm can grow up to ten feet in length and eats mostly crustaceans and mollusks. Researchers have discovered a new compound, named 'darwinolide', inside an Antarctic sponge, Dendrilla membranosa (above, middle), that has shown to kill 98.4 percent of methicillin-resistant Staphylococcus aureus (MRSA) cells it comes in contact with. Lab tests so far suggest that it has a unique structure that allows it to penetrate the 'biofilm' that MRSA throws up to protect itself from treatments. The next step is to synthesise darwinolide in the lab, so they don't have to rely on extracting it from live Antarctic sponges. If the researchers are able to show that they can use darwinolide to fight MRSA in a clinical setting, it could save the lives of tens of thousands of people every years. The manchineel tree (Hippomane mancinella) has taken the title of world’s most dangerous tree. This evergreen grows up to 15 metres (49 ft) tall, and is native to tropical southern North America and northern South America. It has reddish-greyish bark, small greenish-yellow flowers, and shiny green leaves ranging in size from 5 to 10 cm (2–4 inches) long. Stan Larkin (pictured on the right), who's now 25, was diagnosed with familial cardiomyopathy. This form of disease results in the heart having difficulty pumping enough blood through the body. Faced with a lack of compatible heart donors, Stan underwent an operation in 2014 to remove his failing heart and replace it with an external total artificial heart, dubbed the Freedom portable driver. Back in January, I reported that the periodic table would be getting an update because four new elements were discovered - finally, the new names have been penciled in. 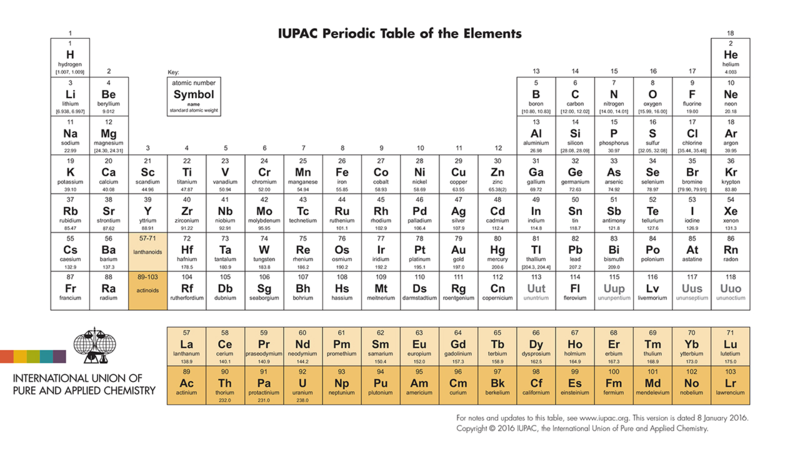 Nihonium, moscovium, tennessine, and oganesson will grace the blocks assigned to atomic numbers 113, 115, 117, and 118, said the International Union of Pure and Applied Chemistry (IUPAC) today.